Montego Bay, Jamaica, W.I. (November 16, 2016). 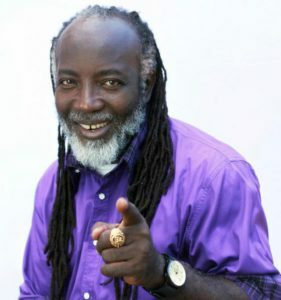 The ‘big ship’ captain Freddy McGregor and Reggae Sumfest boss Joe Bogdanovich are now on board the entertainment music Call to Action: “Entertainers Against Crime and Violence”. The Mega Concert, envisioned to draw up to 50 Jamaican entertainers, is destined for Dump up Beach, December 4, 2016 and scheduled to begin at 3:00 p.m.
“Entertainers Against Crime and Violence” is a voluntary effort of entertainers, both gospel and secular, coming together as one voice. Together they make a statement that crime and violence is crippling the entire entertainment industry as people are not coming out to see performers, neither are police giving permits for events in what is considered a war zone. This further affects the persons who make a livelihood from these events. McGreggor was quick to get on board, being dissatisfied with the current crime situation and its effect on the music industry. 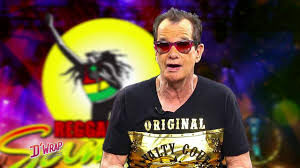 Bogdanovich, the new owner of Reggae Sumfest, feels his contribution to this venture will help to bring about stability to the life of the people. Like a jolt of energy, it will also help to reinvigorate the music industry, and prepare for the staging of the ‘greatest reggae show on earth’ coming up in July 2017. More than 50 entertainers have already confirmed for the event. Everton Blender, Mutabaruka, Tony Rebel, Queen Ifrika, Nesbeth, Spice, Bushman, Mackie Conscious, Taddy P, I Wayne, Hezron, Nature Ellis. Persons of Interest, Live Wyya, Bung Guh Lung, Lt. Stichie, Paul Blake, just to mention a few. The production team warmly welcomes any corporate sponsors who want to join this important venture. There is still room for willing sponsors to join this humanitarian initiative by supporting and financing an event of this magnitude. To date IRIE FM, Mello FM, Reggae Sumfest, John Swaby Entertainment, Knutsford Express, M & M Sewers and Drain, Western Mirror, UDC, Power Plus Hardware, Visual City Ads, and JACAP and Rebel salute Foundation, have all taken the lead in sponsorship.